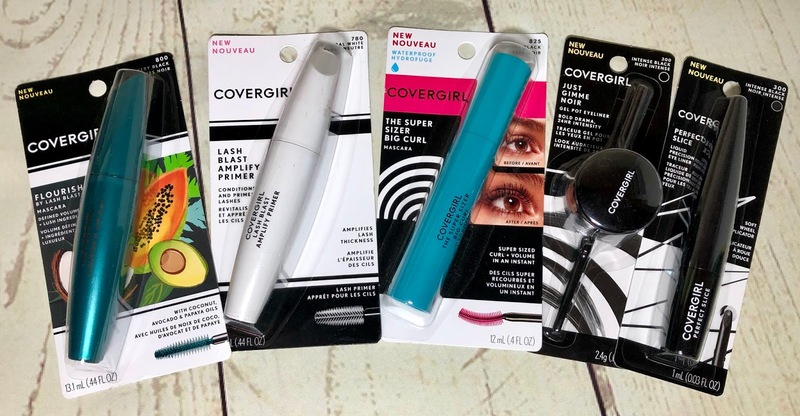 Stacy Tilton Reviews: COVERGIRL and CLAIROL make beautiful fast and easy! COVERGIRL and CLAIROL make beautiful fast and easy! When it comes to wearing makeup I've always said less is more. I'm not a big fan of spending hours in the bathroom in the morning doing my makeup to just be home all day as a homemaker. I do however like to do a little so I don't look like I just drug myself out of bed at three in the afternoon when someone rings the doorbell. I've found that by applying a little something to my eyes does the trick. A little bit of mascara or eyeliner and it brightens up my face in a wonderful way. COVERGIRL has an excellent line of eye makeup to choose from and it has long lasting wear that I love! Some days I do take it one step further and add a little big of color to my face and lips. I mean I don't want the world thinking I never get out of the house with my sometimes very pale skin. I don't like the cold weather so as soon as it drops I lose alot of my outdoors my sunshine time. 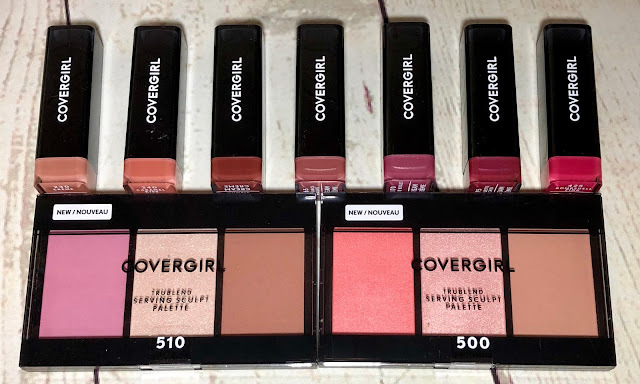 The TruBlend Serving Sculpt Contour Palettes from COVERGIRL allow me to enhance my natural features and add a little color in the process. And a few swipes of lipstick really brighten things up too. The Exhibitionist Cream Lipstick line comes in 48 shades so they have something for every season and occasion! I prefer to stick to the lighter shades unless I'm going out somewhere special and a darker shade really goes with my outfit. Of course every once in a while we have to go all out and start from the base and go all out. 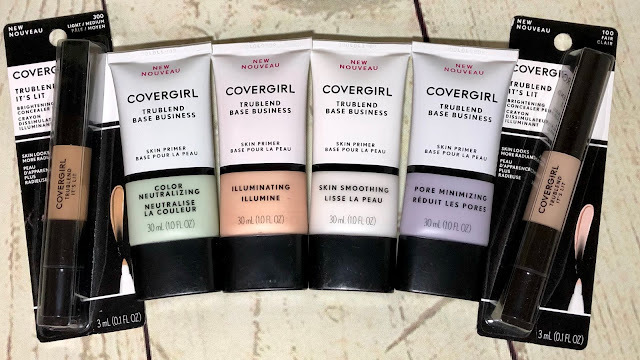 For those times I rely on COVERGIRL's TruBlend It's Lit Concealer and TruBlend Base Business lines. They help me cover up those slight imperfections and even out my skin-tone. I don't claim to be any sort of makeup professional so when I say these are easy to use then you should take my word for it. And for those of us that enjoy a trip to the salon to get our hair dyed this next product is a must. It's an awesome line from CLAIROL called Temporary Root Touch-Up. It's a concealing powder that blends with your existing hair color. In a matter of seconds you can touch up those roots that always seem to peek through before you're ready for your next visit to the salon. 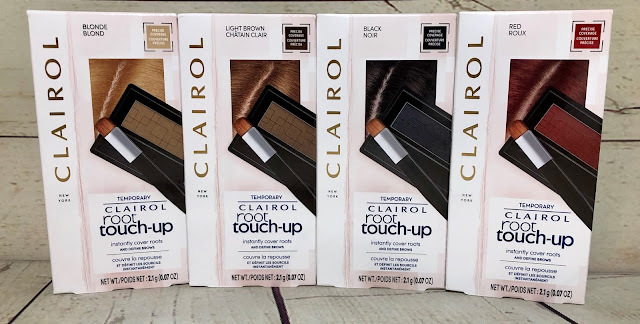 This one has been one of my favorites to try out because I don't like to run to the salon as soon as the first sign of my original hair color starts to peek out. I'm sure many can relate that would get quite costly to do and having a temporary fix that's much more affordable is a better plan.